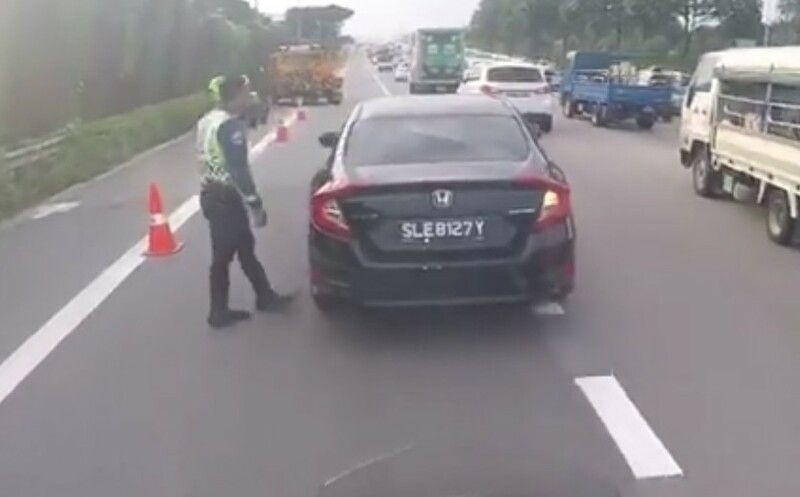 HONDA DRIVER HIT POLICE OFFICER ON CTE AND DONT EVEN KNOW! You are at:Home»Caught In The Act»HONDA DRIVER HIT POLICE OFFICER ON CTE AND DONT EVEN KNOW! Oh no, that police should be standing behind the cone and not in front!!! That is not practicing safety work ethic! Previous ArticleWATSON SINGAPORE ONLINE PLATFORM “SCREW UP” CANT REFUND?